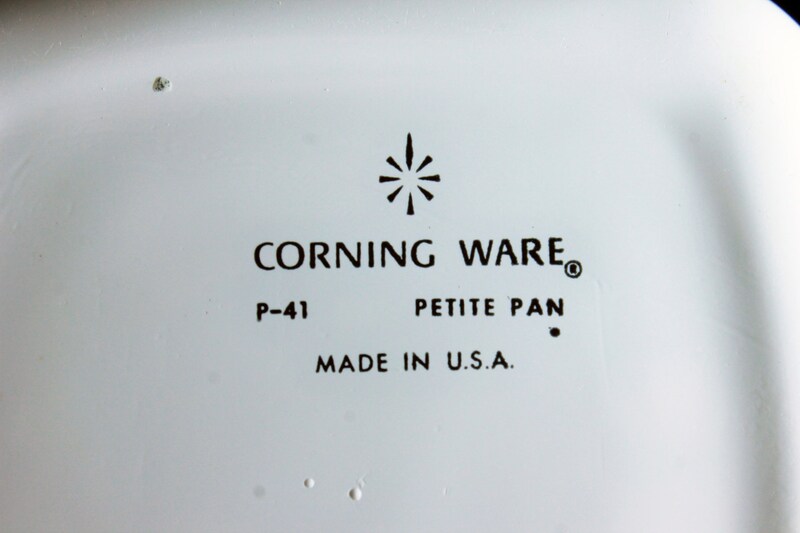 A wonderful set of six Petite Pans by Corning Ware. 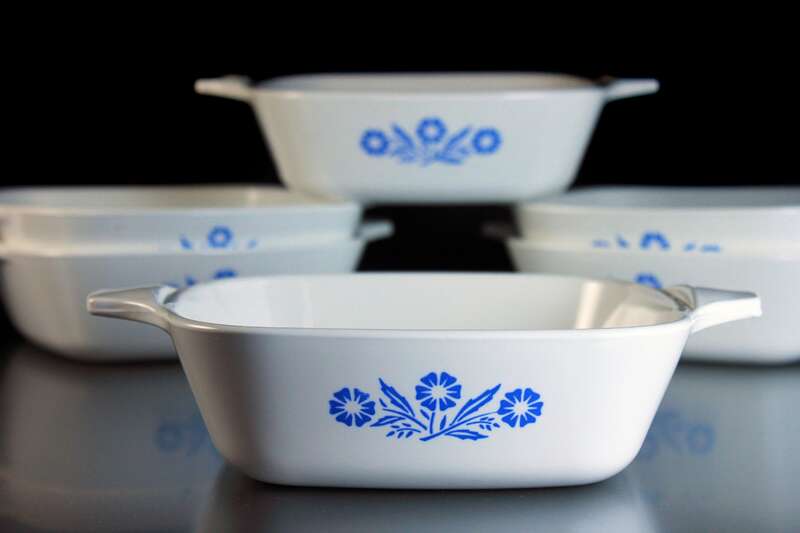 The pattern is Cornflower first produced in 1957 it is a now-iconic Corning Ware pattern that showcases a simple yet charming floral design. 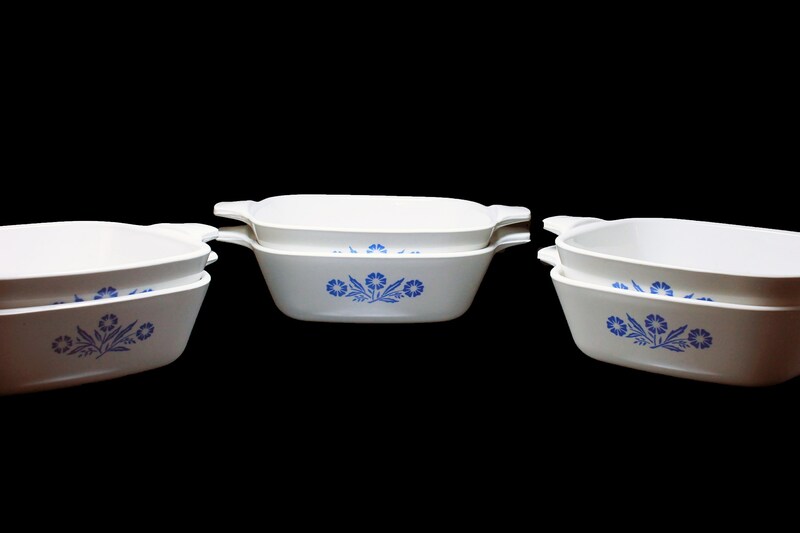 Through the years this has become a popular oven-to-table dinnerware. 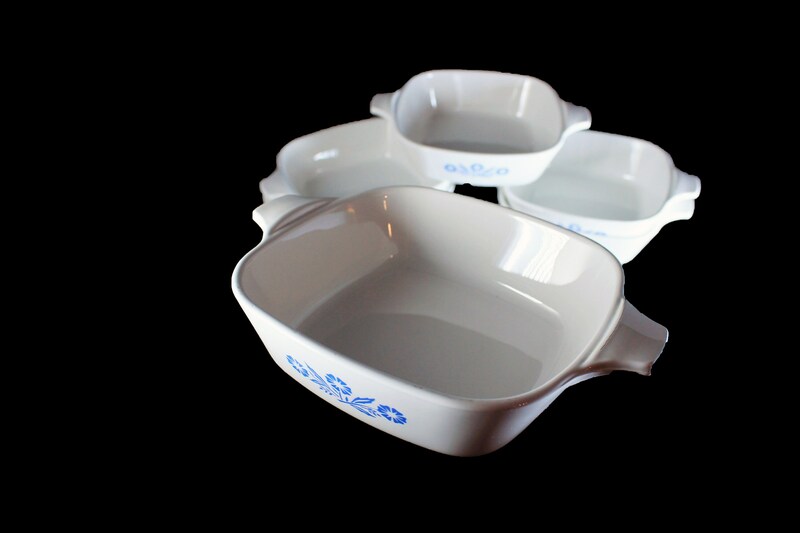 This set would be a great way of serving a variety of dishes as they will go from oven to table. 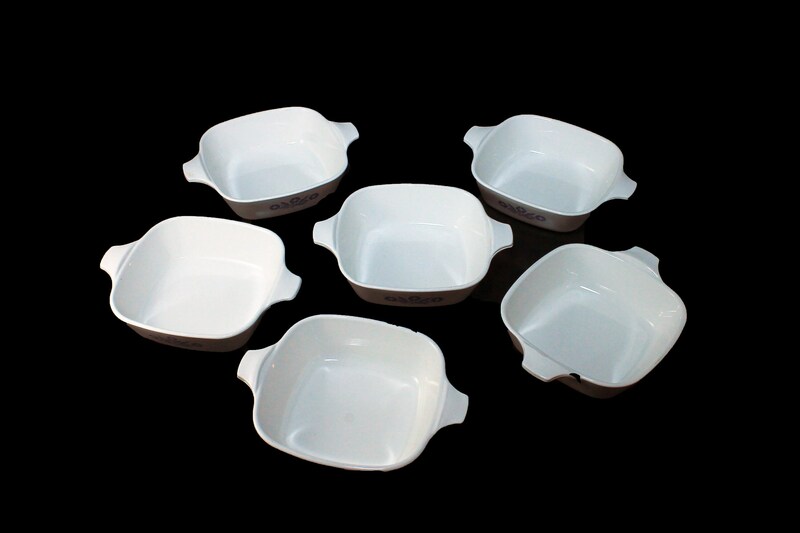 The pans are in excellent condition. There are no chips, cracks, or crazing. 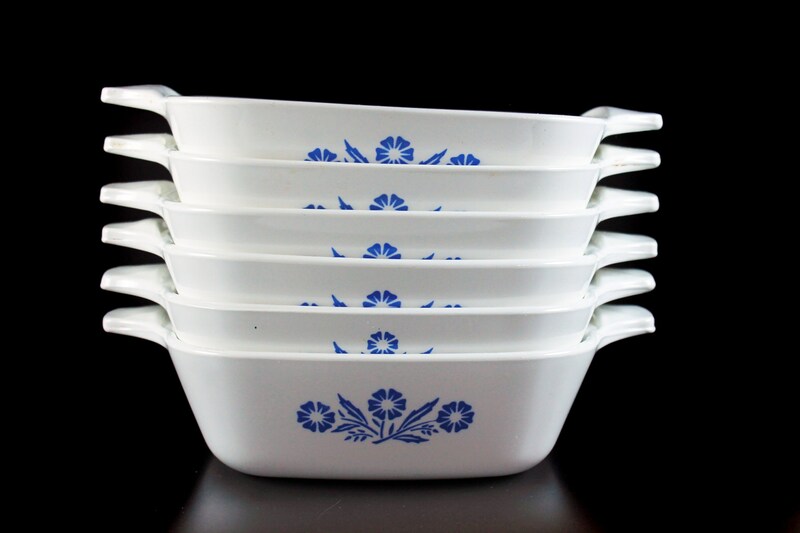 They have no utensil marks. 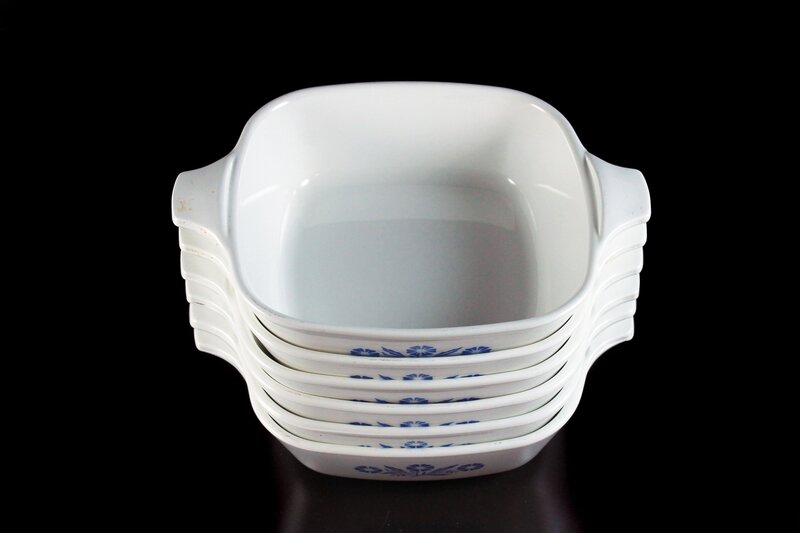 These bowls look like they were rarely used. 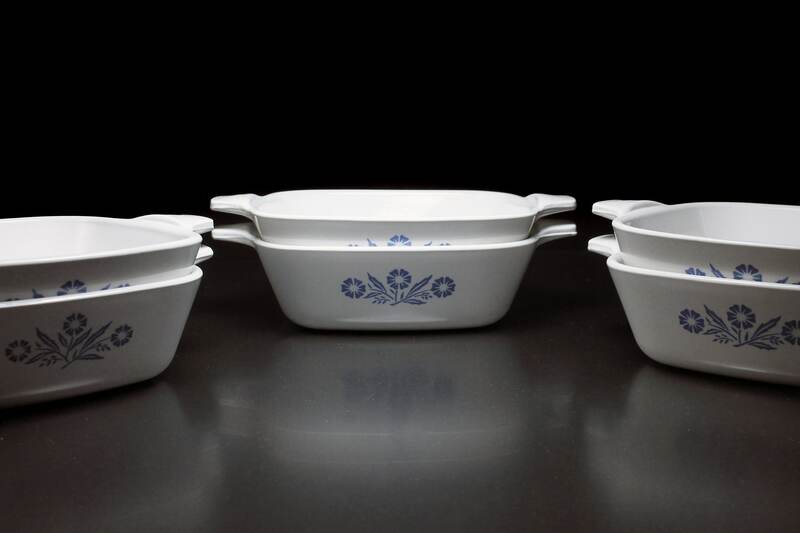 This set does not have any covers. 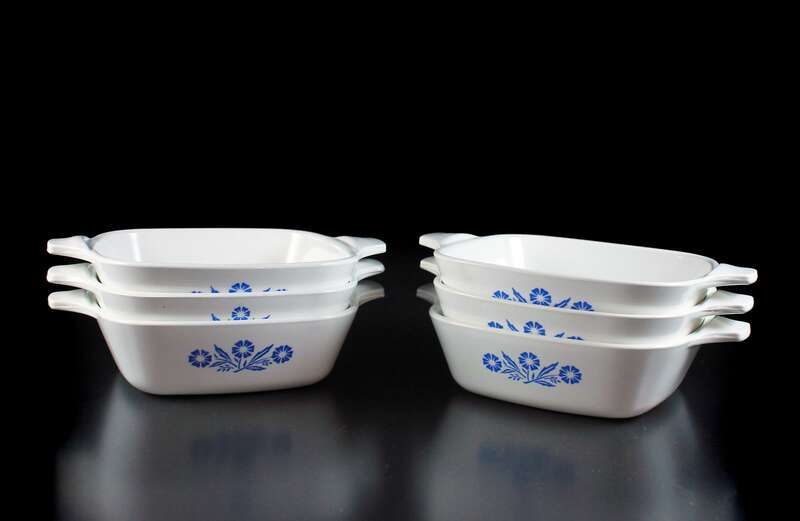 These would make a great housewarming, hostess, wedding, shower, or holiday gift. 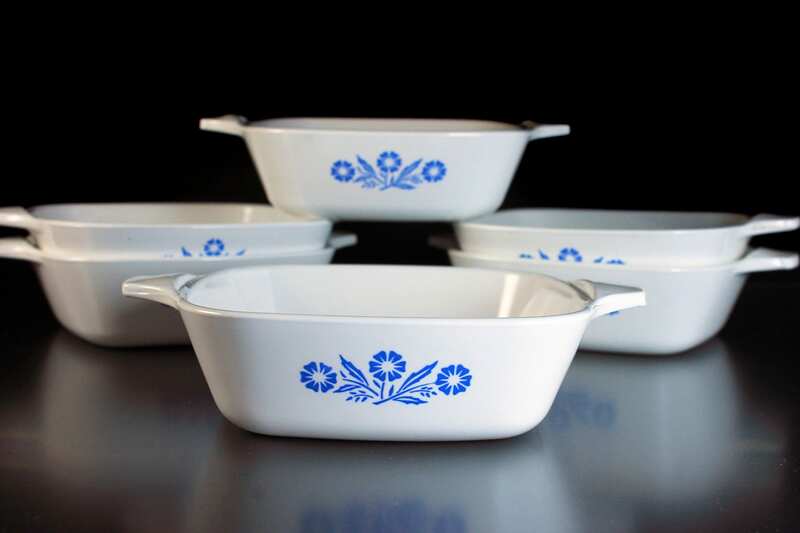 A great set to add to your collection.